The White Van Wedding Co is an alternative approach to classic wedding cars. 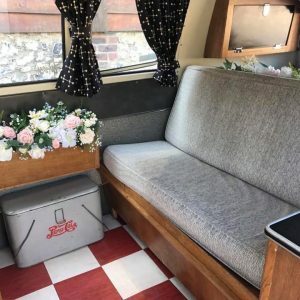 Owner Kelly hires out her beautifully restored 1960’s VW campervan, decorated to your chosen colour scheme with your very own chauffeur AND a self-serve pick and mix! They even travel up to a 50 mile radius of their base in Welling, Kent. 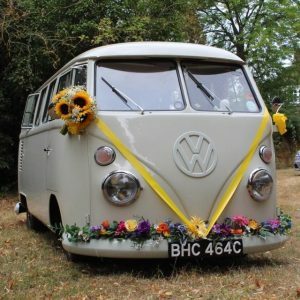 To top it off, the beautiful campervan can be transformed into a photobooth to bring some vintage evening entertainment. 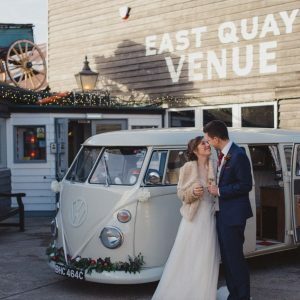 Whether you’re having a boho, rustic or hippy wedding, this little van is definitely memorable (and a great photo op!). Browse our hand picked selection of all wedding venues and Services.